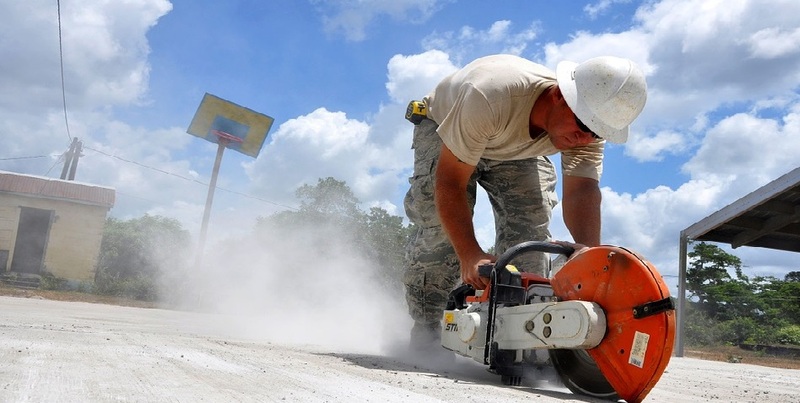 There are plenty of reasons why one would need to perform concrete cutting. For instance, if they need to remove excess area, add stress joints in existing structure, remodel the patio, demolish the structure or they need HVAC installation. Concrete cutting is one of the most common and consistent requirement in the construction industry. But it isn’t any amateur’s job to perform concrete cutting with great deal of accuracy and cleanliness. The job demands specific skill-set, knowledge and rigorous training. The operators need to adhere to the standard health and safety guidelines. There are standard techniques and specific equipment like diamond cutting tools that enable concrete cutting operators to obtain desired quality of cuts within estimated time. In this post, we have shared some useful tips that will help you execute concrete cutting more efficiently. We aim to help you get that perfect finish every time you undertake a concrete cutting project. Whether it is a residential, commercial or industrial concrete cutting project, the first and foremost thing the project demands in order to yield expected results is the right selection of equipment or tools. Traditional saws can help you do the job, but it is recommended to use a specialized circular saw for better outcomes. Match the right concrete saw with the concrete cutting job. There is a wide range of diamond drills and diamond saw blades available out that can help you gain cleanest, sharpest and smoothest cuts. Understand all the different types of concrete saws and find out what sort of projects they are best used in. There is a selection of concrete saws that can be used to cut heavily reinforced concrete and many other construction materials by simply changing its diamond blades or cutting heads. At the same time, a wrong selection of equipment can cause more damage to the material as well as the equipment. It also poses a potential safety risk. What material do I want to cut through? What is the required speed for the job? What are the desired cutting characteristics for the job? Don’t apply excessive pressure on any side of the blade and don’t try to push the blade while it is in use. Not just this can reduce the life-expectancy of your diamond blade, but can lead to an accident. Never attempt concrete cutting with dull blades. This can increase dust production and heat up the saw, ultimately reducing its lifespan. If you have a lot of concrete cutting work on hand, buy a heavy duty diamond blade and you will need to change the blade less often. Make sure your toolkit has a variety of blades suitable for different applications. You would certainly not want to put the concrete cutting operation on hold time and again for your frequent visits to a hardware store. You need to wear protective gears and appropriate clothing suitable for the job to avoid health and safety issues. Don’t begin concrete cutting without proper planning and site inspection. Prepare a road map of entire concrete cutting operation ahead of time. Alternatively, you can take help of a professional concrete saw cutting service provider like us! We are here to help you with all types of concrete cutting projects.